A field of delicate daisies are sprouting on a warm spring day as freshly decorated eggs await their discovery! This delightful A-door-nament will make your guests smile as they gather at your home. 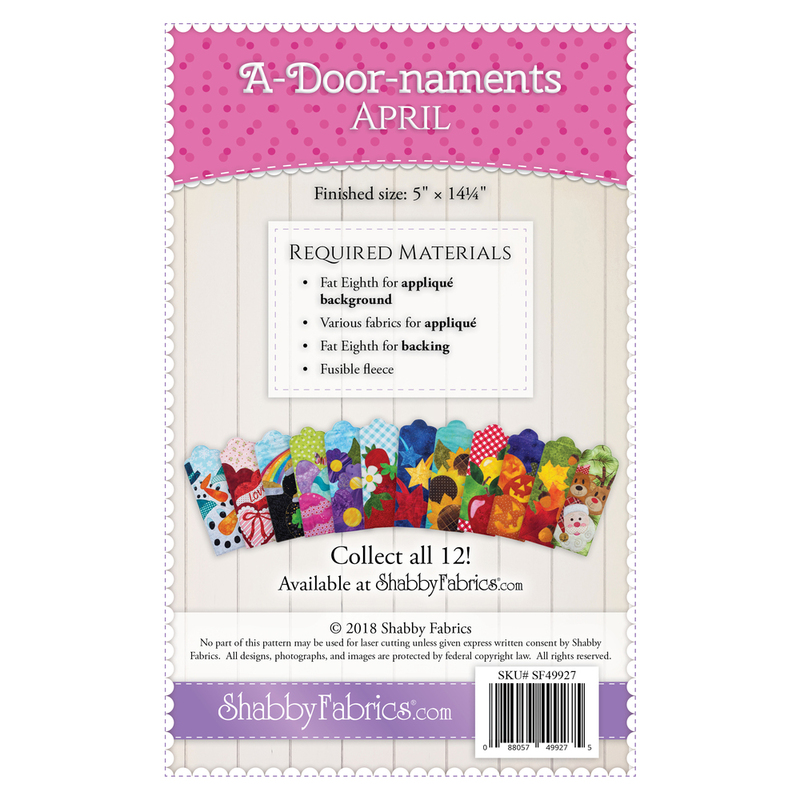 Instructions include two finishing options, one for a hole to accomodate most doorknobs or handles, and another for a hanging sleeve to fit a 6" craft holder.